Cannington Golf Centre recently held a 9-hole junior golf open as part of a summer of events to get young golfers playing at a more competitive level. 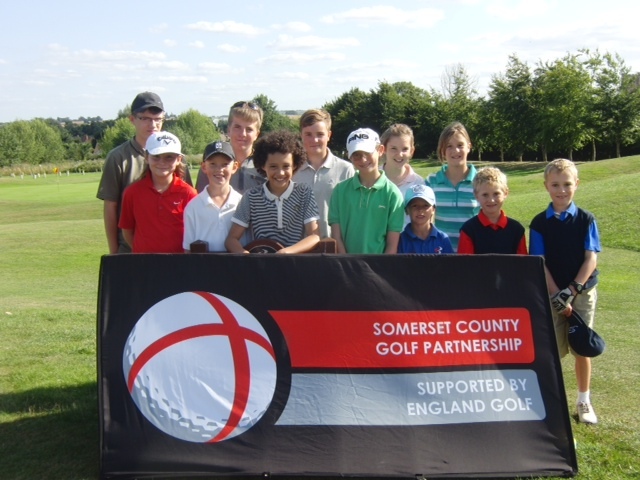 The participants had previously attended the Somerset Golf Partnership Golf Academy, who also organised this event, held at various venues around Somerset throughout the year, including Cannington. The aim of the events is to give young players experience of playing at a competitive level, ready to progress into the Somerset County Junior squads. The tournament was open to golfers 12 years and over, and 11 years and under. There were prizes given out by Sarah Burnell, the Somerset Golf Partnership Golf Academy Director which included golfing apparel and golf balls. The winners were, Harry White, from Cannington Golf Club, who won the 12 years and over competition; Harry Turnell and Freddie Turnell, both from Burnham and Berrow Golf Club winning first and second places; Jack Webber, from Cannington Golf Club coming third and Hannah Abraham, from the Isle of Wedmore Golf Club coming fourth in the 11 years and under competition. Ron Macrow, Golf Manager said, "A tour of this nature, played in the correct environment, helps young people appreciate how the game of golf can bring people together. It allows young people to play competitively at a young age so that they are better able to deal with adversity, overcome it and become stronger as a result and to take on challenges at a higher level as they progress."